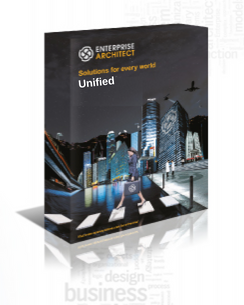 This is a 10-user group license for the Collaboration Standard Edition of eaDocX. The eaDocX™ Collaboration Edition is the fully featured document generator and collaboration platform for Enterprise Architect that produces and publishes Enterprise Architect documents, models, reports and spreadsheet online for group review, updating and management. 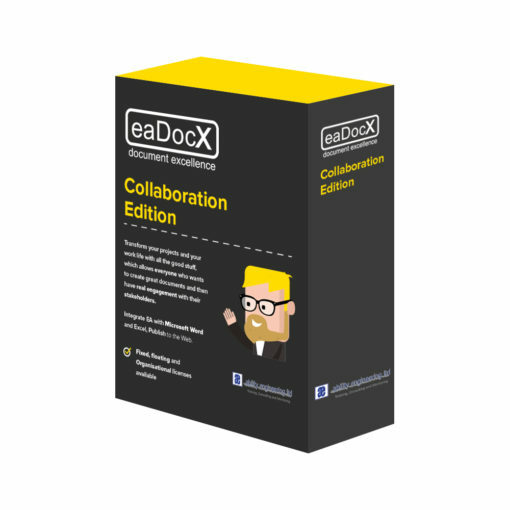 eaDocX Collaboration Edition allows you to publish your eaDocX documents to a website intranet, extranet, or the internet. Reviewers can contribute online using any platform with a suitable web browser: PC, tablet or mobile device. With Collaboration Edition, you can ask reviewers questions about individual EA packages, diagrams, elements or element attributes, give them choices, let them vote, share comments, record and manage conversations in real time.